The first all-the-work peal of the 42 regular Thirds Place Delight Minor methods. First submitted Thursday, 31 January 2019 at 08:22:09 by John S Warboys. 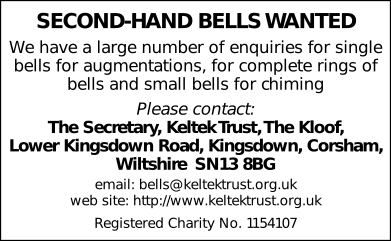 Sent for publication in The Ringing World on Friday, 1 February 2019 at 13:52:10, and printed in issue 5625, page 159.